Hope Monday was or is good to you (depending on the time zone of where you reside). I woke up feeling quite energized and full of positivity which rarely happen on Mondays. I’m a work in progress, but of late I’ve been experiencing some inner peace that had eluded me for a long time. When it comes to happiness, we associate it as a destination in life. We feel like we need to achieve a goal, get that car, big house, marry, a luxury vacation and all the crazy ideas that pop up in our heads. – And this is a big mistake! Why do we think that? Why can’t we enjoy the moments and the small achievements we accomplish each day? Anyways I thank God and I’m glad I’m grasping little knowledges like this. When one has been through things in their life, little knowledges like that can escape em. 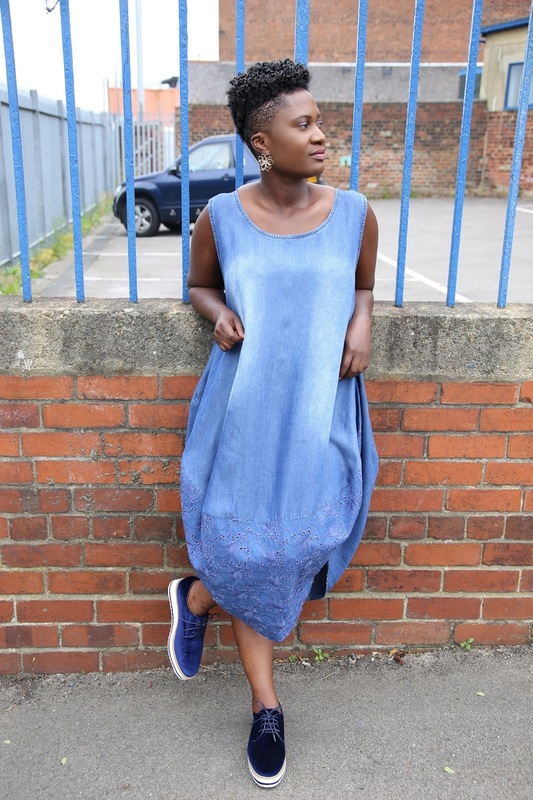 Unto the outfit, this denim dress is one of my favourite. It’s a great comfortable dress with a lovely detail. 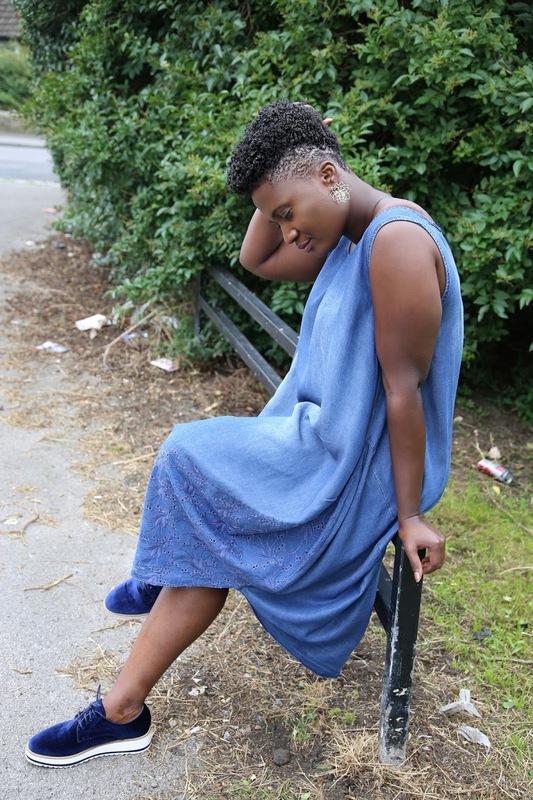 It can be dressed down or up which is a plus/factor when buying fashion. This Nasty Gal velvet sneaker is a recent purchase and I love it! Have a blessed week Beauties!